If you are looking for a quick recipe to bring to your next BBQ this summer, I’ve got you covered. 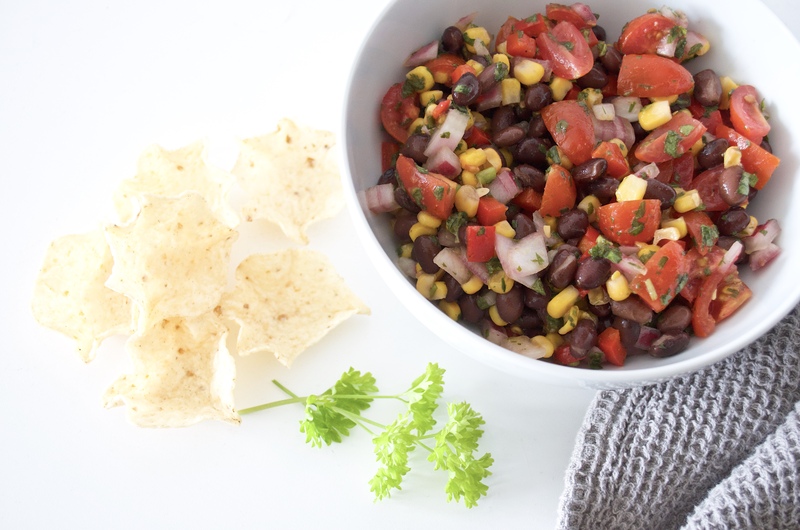 This salsa is so easy to make and it tastes delicious! It’s on repeat in my fridge all summer long. 1. 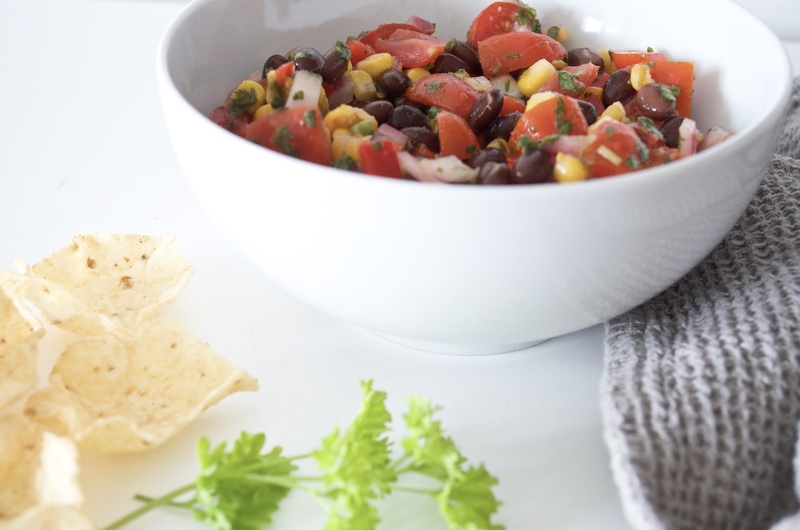 In a large bowl, combine red onion, red pepper and cherry tomatoes. Sprinkle with salt, pepper and garlic powder. Mix. 2. Add lemon and lime juice and mix. 3. 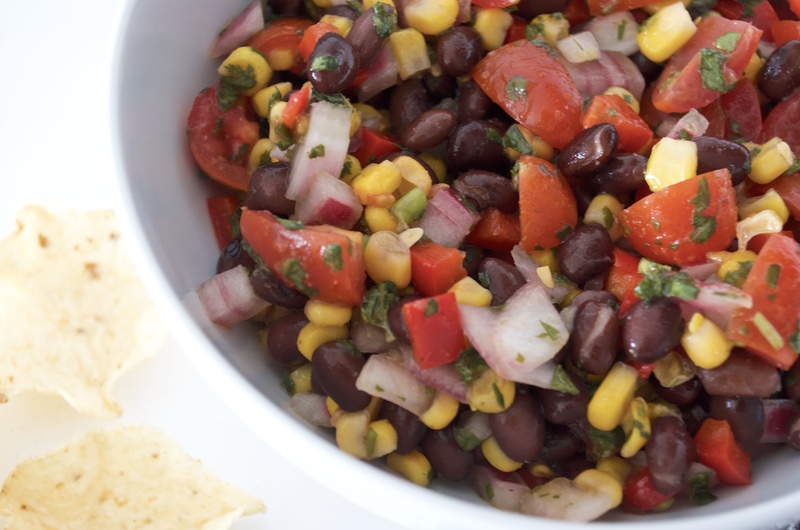 Add black beans and corn, mix together. 4. Add olive oil, balsamic vinegar and red wine vinegar; mix well. 5. Add cilantro and mix well. Refrigerate for 4-6 hours before serving (overnight is even better). 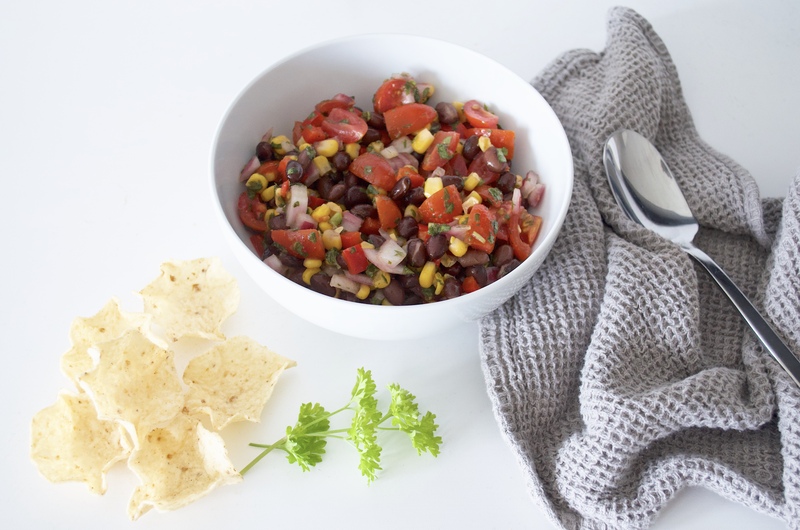 Serve with your favourite corn chips (I like the Tostitos Scoops! ).